This weekend, our featured wallpaper is just plain peaceful — with the photo lighting, can you just imagine driving off into the sunset behind the wheel of this car (at high speeds)? Given, it could be sunrise, but we don’t want to think about being awake that early. Keeping the peaceful thoughts for this one. The photo comes from photographer Adam James and features a classic Chevrolet Corvette Stingray, a name that made its return with the C7 in 2014 — a bit of the history on the “Stingray” title leading up to that return can be found here. If you like the photo and want to see more of James’ work, you can check out his website at the link below. We’re all coping with the fact that Monday — everyone’s favorite day of the week — is almost upon us, but at least you can find some solace in a new paint job for your desktop. As always, feel free to submit your photography to the email address below. 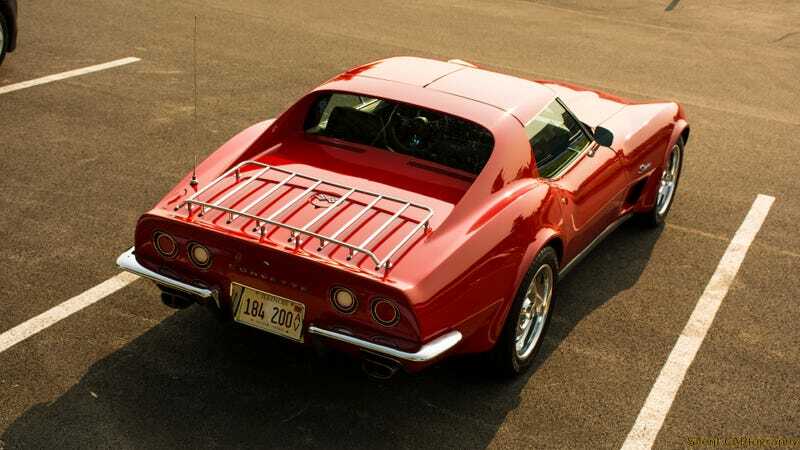 May your week be as smooth as the lines on that Corvette. Photo credit: Adam James. Used with permission. For more photos from this particular shoot, check out his website, Silent CARtography. For a big desktop version, click here.